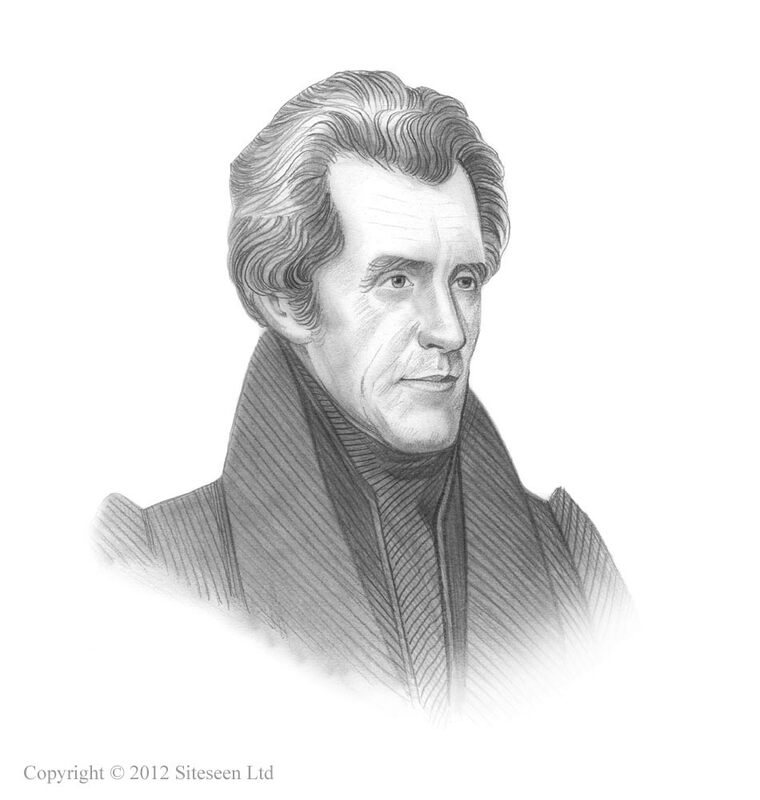 Tariff of 1832: Andrew Jackson was the 7th American President who served in office from March 4, 1829 to March 4, 1837. One of the important events during his presidency was the Tariff of 1832 of 1832. Summary and definition: The Tariff of 1832 was another protective tariff that was passed on July 14, 1832 to reduced the existing tariffs as remedy for the conflict created by the 1828 tax referred to as the Tariff of Abominations. The remedial effects of the Tariff of 1832 was a compromise but failed to pacify Southerners leading to the Nullification Crisis. The Tariff of 1832 was the fourth in a series of 'protective' tariffs implemented by the government. The protective tariffs taxed all foreign goods, to boost the sales of US products and protect manufacturers in the North from cheap British goods. The 1828 Tariff of Abominations was given this name reflecting the outrage of the Southern states whose economy was being damaged firstly by having to pay higher prices on goods the South did not produce, and secondly increased taxes on British imports made it difficult for Britain to pay for the cotton they imported from the South. There was also opposition in New England states because it included the clause by which the taxes on raw materials were also considerably increased considerably. The Tariff of 1824 was the second protective tariff. It raised the duties still higher. There was 35% duty on imported iron, wool, cotton, and hemp. Who opposed the Protective Tariffs? The Tariff of 1832 and the Tariff of Abominations was most fiercely opposed by the Southern states led by South Carolina who contended that the protectionist tariffs were unconstitutional. Robert Hayne and John C. Calhoun spearheaded the nullification drive. John C. Calhoun wrote the South Carolina Exposition in 1828 explaining the Nullification Doctrine. However, as John C. Calhoun was Vice-President, and presided over the debates of the Senate, the ideas contained in the South Carolina Exposition document were conveyed in a series of speeches by Senator Robert Hayne of South Carolina. In November 1832 a South Carolina state convention passed an ordinance of nullification on November 24, 1832, declaring that the tariffs of both 1828 and 1832 were unconstitutional and unenforceable and therefore null and void. What was the Purpose of the Tariff of 1832? The reaction to the 1828 Tariff of Abominations was so severe that the Tariff of 1832 was passed to reduce the tax rates in an attempt to resolve the conflict created by the passage of the bill. Who drafted the Tariff of 1832? John Quincy Adams was made a scapegoat for the 1828 Tariff of Abominations by his political enemies and had lost the election to Andrew Jackson. He remained in politics and was sworn in as a United States Representative on December 5, 1831, and 7 days later was appointed chairman of the Committee of Manufactures whose function was to draft tariff bills. The Tariff of 1832 was therefore largely written by John Quincy Adams in his role of chairman of the Committee on Manufactures. The situation was extremely serious and South Carolina threatened to secede if the federal government attempted to collect the tariff duties. This led to the Nullification Crisis.